MACNA is right around the corner and the event starts September 28, 2012, and runs through the 30th. This is the largest marine event in the United States so if you can attend you will be very pleased that you did. This year’s event takes place in the Dallas/Fort Worth area and will be held at the Sheraton Dallas Hotel. Orphek will be there showing off their new products and there will be many surprises in store for you. Our booth will be toward the end of aisle number 2. When you see Kent Marine you are in the correct aisle. A list of vendors and their booth number will be provided at the entrance. Orphek will be shooting a short video of the event which we will post on our website, https://orphek.com/orphek-news/. Please visit our booth and look at our new LED products and a couple of surprise products. There will be many exhibitors present, too many to list here so this link will take you to the list of exhibitors. 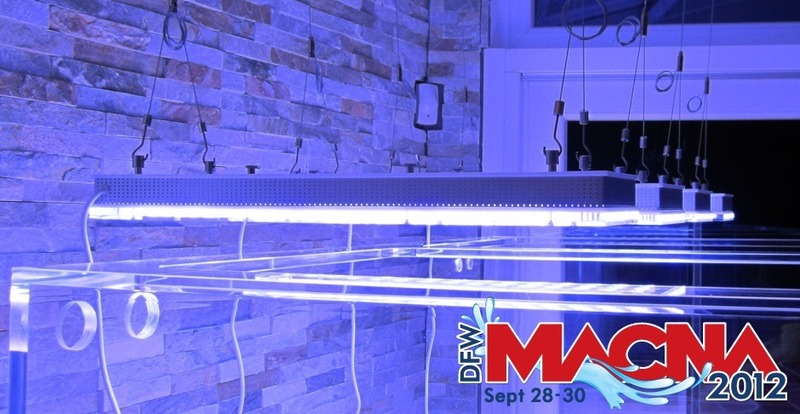 http://www.dfwmacna.com/vendors-sponsors/exhibitors/. This year’s MACNA will host many very well known speakers who will be speaking on various subjects in the marine hobby. A list of speakers can be found here. The speakers schedule and the subject of their talk can be found here. You can visit the MACNA website by following the below link for more information and travel information.